Dancing threads of light at the bottom of the tea cup. The other evening I prepared a lovely, delicate, loose leaf jasmine tea in a teapot. I then, perhaps carelessly, perhaps fortuitously, poured the hot tea into a cold tea cup. Immediately threads of light danced across the bottom of the cup. 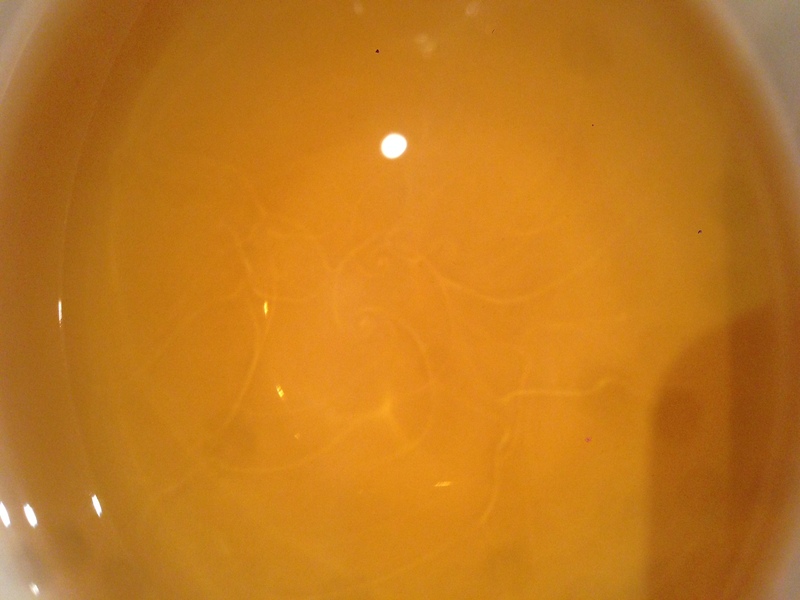 The kitchen lights above the tea cup were refracted through hot and not-quite-so-hot regions of the tea before being reflected from the bottom of the cup. The refractive index of water changes as a function of the water’s temperature and so the light gets bent by varying amounts depending on the temperature of the tea that it travels through. Effectively the hotter and cooler regions of the tea act as a collection of many different lenses to the light travelling through the tea. These lenses produce the dancing threads of light at the bottom of the cup. The contact between the hot tea and the cold cup amplified the convection currents in the tea cup and so made these threads of light particularly visible, and particularly active, that evening. It is a very similar effect that causes the twinkling of the stars. Rather than hot tea, the light from the distant stars is refracted by the turbulent atmosphere, travelling through moving pockets of relatively warm air and relative cool air. 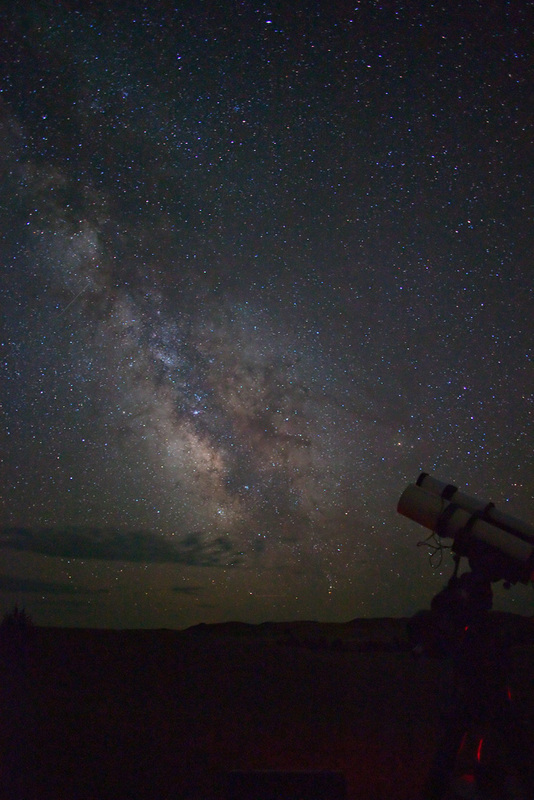 The star light dances just a little, with the turbulence of the atmosphere, this way and that on its way to our eyes. Marcus Aurelius of course didn’t have tea. Watch the dancing lights in the tea cup and see yourself sitting with it, resting a while and then watching while dwelling on the beauty in your cup. Thank you for a beautiful descriptive insight into mystery through the light in a tea-cup .